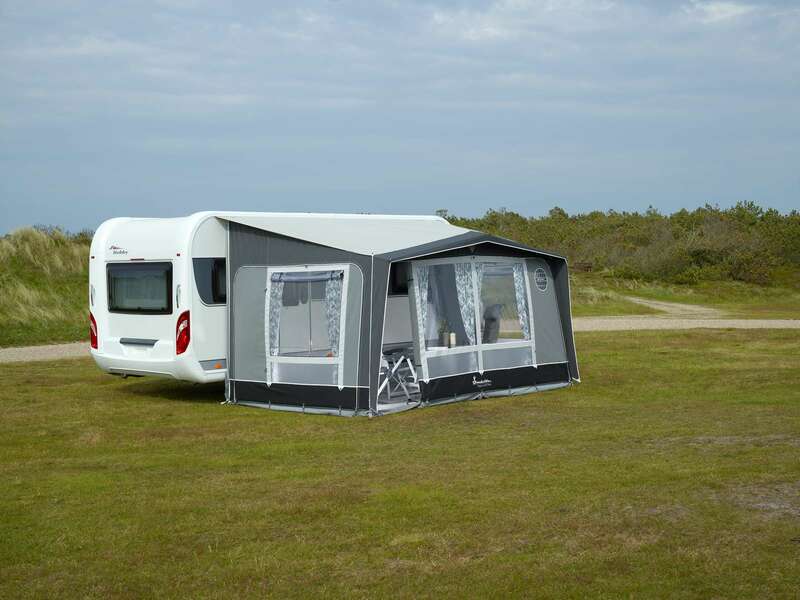 The Magnum 400 Flint is a touring friendly porch, which is quick to put up when you’re on the go. 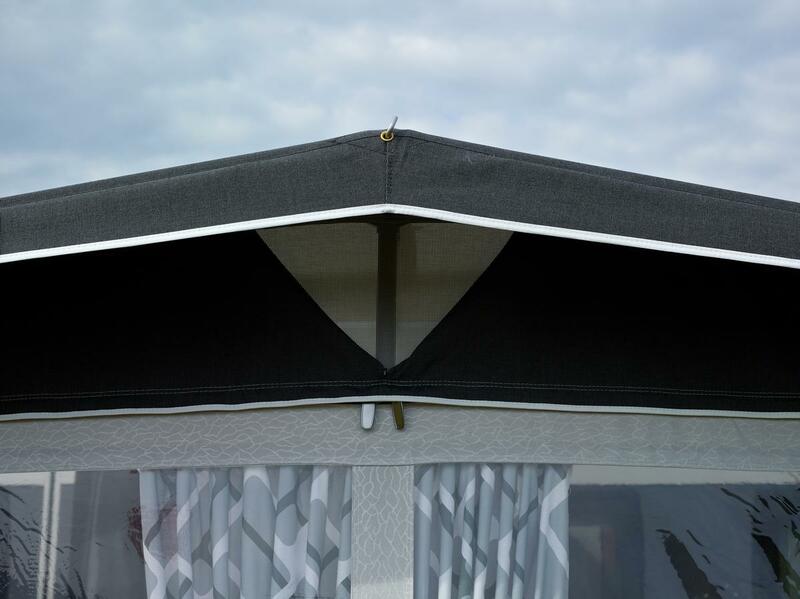 With The Magnum, you get a spacious touring awning with a depth of 250cm and a width of 400cm. 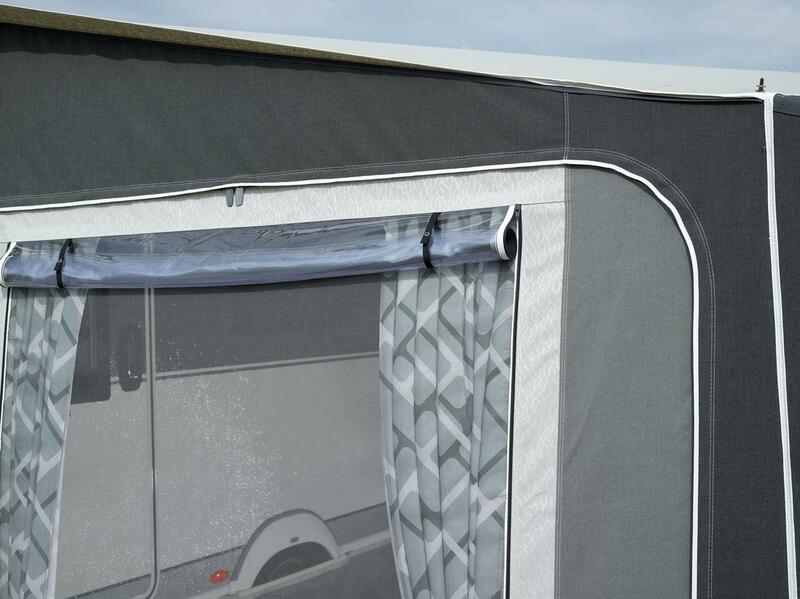 The front and side panels can be folded down/removed and, together with two mosquito net sides, offer a wealth of ventilation options. 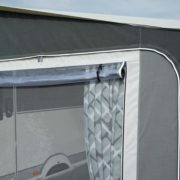 The Magnum Flint has large front windows with frosted foil in the lower section of the window. If more space is required there are plenty of options which include a front sun canopy or an annex which offers you extra storage or sleeping space when purchased with an inner tent. 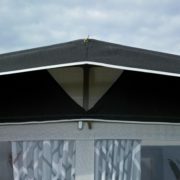 The Magnum Flint is made of Isacryl, an impregnated, maintenance friendly material, which also ensures a good indoor climate. 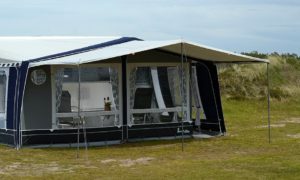 Special features – Extra long roof wings for additional strength and optimal fit, full length canopy providing extra shelter, mosquito net in both sides. 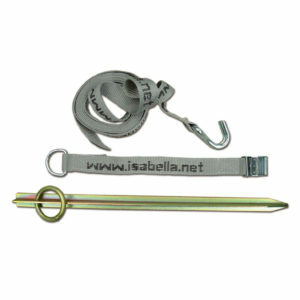 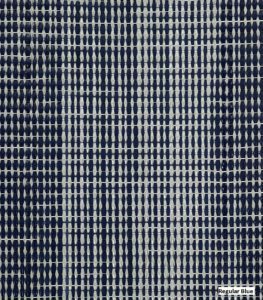 Comes as standard with – Collage Blue curtains, wheel arch cover, draught skirt, side veranda pole, FixOn, awning bag, pole and peg bags including peg remover.